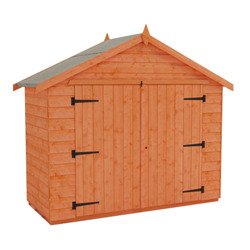 These 4x7 wooden garden sheds are perfectly suited for storing bicycles, tools, equipment or anything else. 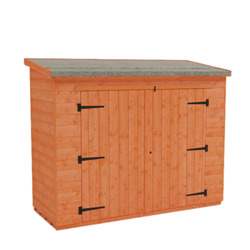 Supported by robust framing and manufactured from high quality timber with tongue and groove boards throughout, these buildings are made to last. 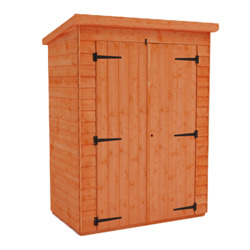 The compact size and attractive appearance of our 4x7 wooden sheds make them a great choice for all gardens.